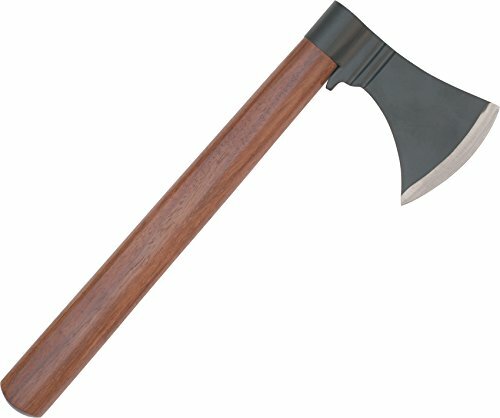 This Throwing Tomahawk Axe by Szco Supplies has an overall length of 12.5 Inch. The blade is made of carbon steel. The handle is made of wood.